Home » Do Balance Transfers Actually Create Indebtedness? A balance transfer is a great option to work down your debt by moving it from an existing credit card to one that charges low interest or even 0% for a specified period, thereby helping you save money. For example, if you have accumulated credit card debt at an average rate of 18% interest and you switch the balance to 0% interest card, you will pay just the principal on your debt until the promotion period ends, which could be as long as three years or longer. It works like an interest-free loan. Now, doesn’t that sound like a great deal? But don’t get too excited yet. Issuing companies are smarter than you think. They offer you 0% because they can find plenty of ways to make again if you make mistakes or don’t stick to the rules. The bottom line is to read the fine print and use a personal loan calculator to work out interest rates on what you already owe. You can also enjoy the benefits of credit cards, but only if you keep to the terms and pay off your balance before the deal expires. But if you have a habit of making late payments or spend on the card, you could find yourself saddled with even greater debts. 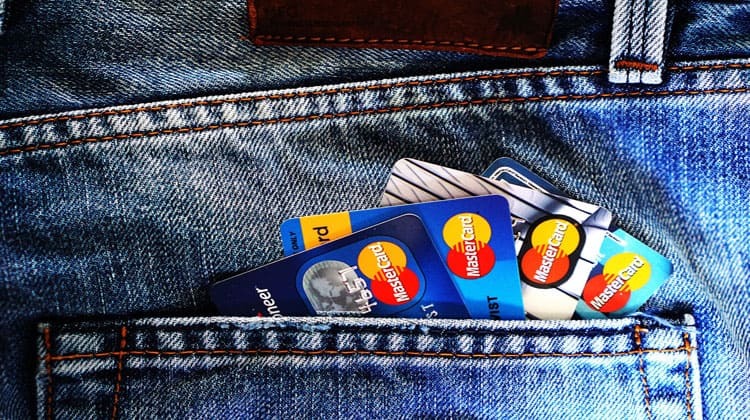 So, if you don’t want to find yourself sinking in a whirlpool of indebtedness while using your credit card balance, make sure to follow these guidelines and you’ll be safe using the transfer to your advantage. Don’t get too carried away by the seemingly tempting offer of 0% interest rate. Look out for the less trumpeted charges, which could be a higher late payment charge or an annual fee on your card. These types of fees potentially makes light of the advantages on your 0% APR transfer. The card issuer usually has various ways on making profit. If you don’t clear your balance before the end of the period specified on your card, you will start paying interest. The issuer may also choose to charge you a transfer fee of say, 3%, which means you will pay a £60 on a transfer of £2000. Some cards levy lower rates but a shorter 0% promo period. So, make sure to always do your loan calculations. The primary objective of your credit card transfer is to help you pay off your credit card balance with ease and convenience and get ahead. Don’t compound your debt situation by giving in to the temptation to spend. A balance transfer card might charge you 0% interest for as long as 3 years, but the standard rate of 18% on purchases still applies. Some card issuers might even offer you rewards that tempt you to spend. But there’s usually a trap: They don’t offer an introductory rate on purchases; therefore you could end up accumulating debt that could offset any savings you’ve made on your transfer. The bottom line is you need to be smart when taking the balance transfer path. I thought I was when I did it. But I was fooling myself. I transferred my balance to take advantage of 0% interest. But I ended up spending more money on the cards. In the end, the deal of 0% cost me a lot more than if I had just kept my balance on my original card. Plus the added debt dropped my credit score by a lot. Don’t make the same mistake I did. Be smart when doing balance transfers and you can save yourself money in the long run. Balance transfer deals can be beneficial if you are trying to pay off your credit cards. However, if you do transfer all of your balances over to one card you need to ensure that you don’t then charge on the cards that you transferred from or you will create a bigger problem. Thanks for sharing!